For 3 Bostonians living in Seattle, without any family we made the best of the Thanksgiving weekend. I started the day with a 6 mile run. Dinner was very traditional turkey, stuffing with apples, walnuts and raisins, mashed potatoes, gravy, squash and green beans. This was all delicious. 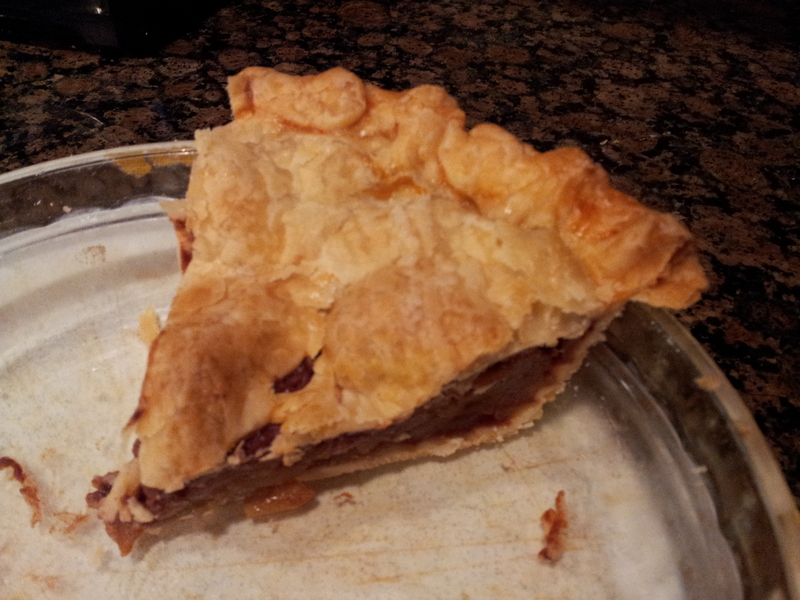 I made an edible apple pie for dessert. It was not bad, but I put too much cinnamon in the apples. Hannah and Larry went to the movies and I took Jameson for a long walk. Then I caught up on my DVR shows. 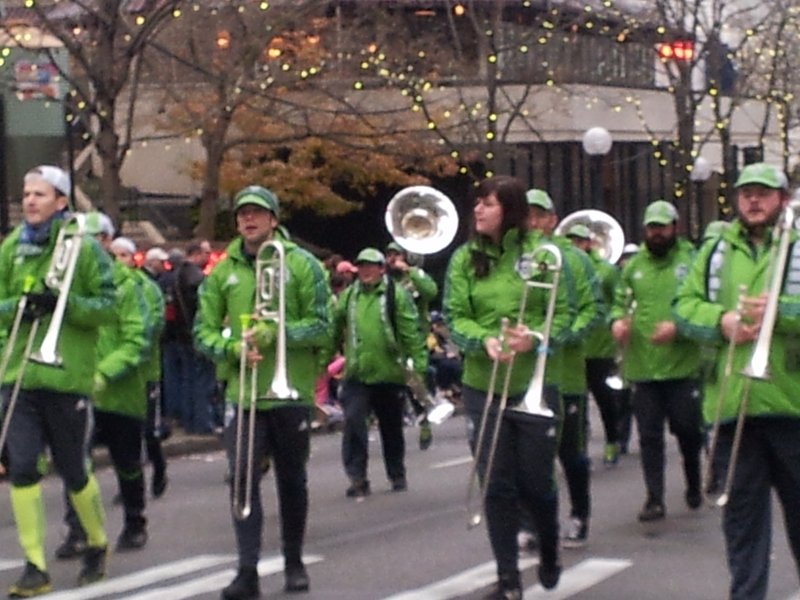 On Friday we all got up early and headed to the Seattle Macy’s Parade. It was pretty good. There were high school bands and many small balloon floats. 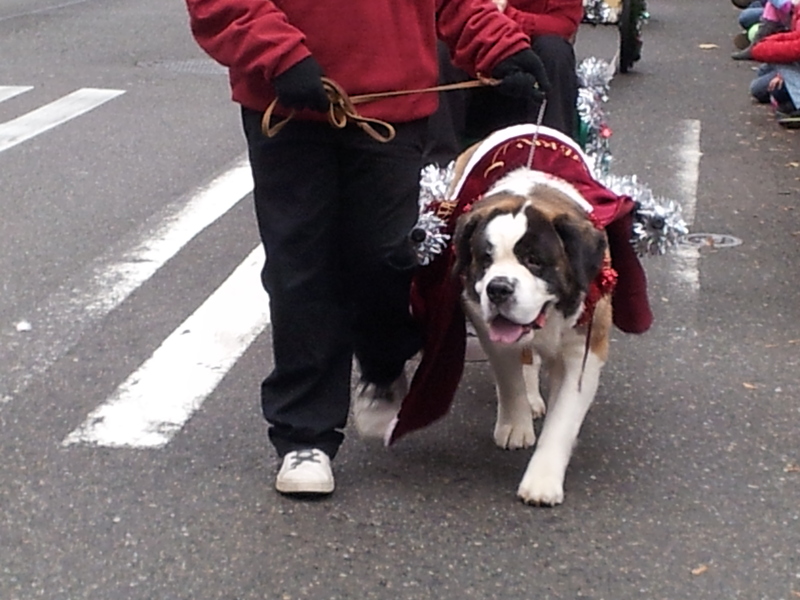 There were also dog clubs in the parade. I have never seen dogs in a parade before. Seattle is super dog friendly. Then we walked to Westlake and shopped. It was great, there were short lines in the stores and not the craziness of the mall. We had lunch at the Purple Café and Wine Bar. I had the stilton salad and half turkey sandwich. The food was good and then we shopped some more. We all agreed we would do it again next year. Saturday started with a 10 mile run. Then Hannah and I headed to Bellevue Square. We had a few stores to get to and then left, just as it was getting busy. I did do some cyber shopping, but we do a grab in our family, so I’m not overwhelmed with presents to buy. Sunday was spent getting a few Christmas decorations up and watching football. The Pats won! 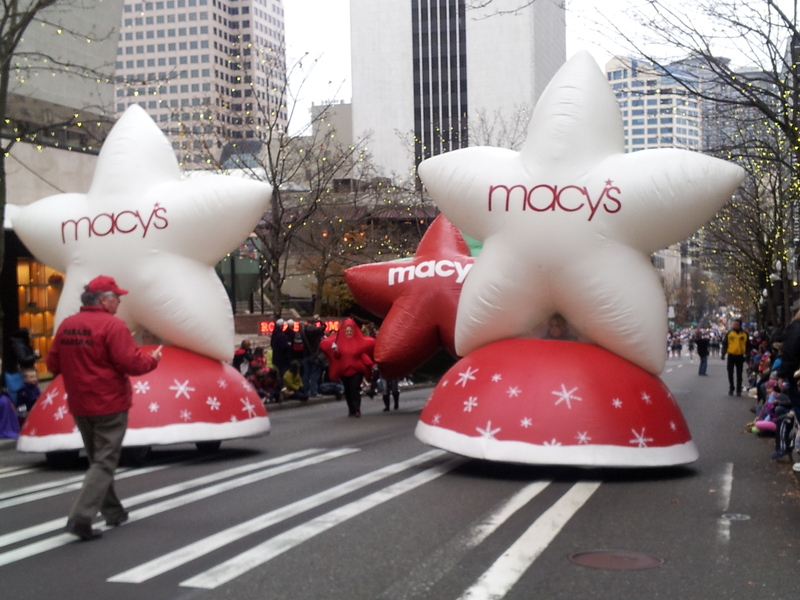 This entry was posted in Uncategorized and tagged apple pie, Running, Seattle Macy's Parade, Thanksgiving. Bookmark the permalink.